Â Â These chairs look great with our dining room. We used these for the heads of the table and used metal/wood for the others. These chairs are a great high end look at an affordable price! They are light weight, which is exactly what I was looking for. Â Â Exactly what I had been searching for. We purchased 6 chairs for our dining room table and love the look for the price. They are heavy, solid and very comfortable to sit on. I am also happy with the comfort of the chairs. Â Â Creates a modern, rustic look when combined with the other elements. In a house with three small children they do hide stains well with the patterned fabric. They are well-made, yet light weight, comfortable and casually elegant. Â Â The color is true to the ones shown on the web. It made it easy for me to make the choice for my need. I love how these chairs fit perfectly my dining table both color and style. I plan to buy extra chairs for when we have guests. I was extremely surprised with the quality of the frames of these Bassett Mirror chairs. Camryn Dining Chair seem to be hardwood throughout which makes it a great value for the price. Color is true to the picture which was very important. Will definitely buy from this site again. 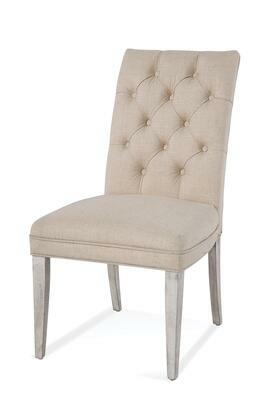 We love these chairs from Bassett Mirror. We purchased eight of them for our business and are so impressed, we will be placing another order for our home. Love the Camryn style, comfort and looks of the chairs.